Once your web host has confirmed that APC is installed and working, you will then need to enable it for WordPress with a plugin. My recommended method is with the APC Object Cache Backend plugin. This is not a true plugin, but rather a “drop-in” file. As such, you do not actually activate the plugin. You just need to copy the object-cache.php file into your /wp-content/ directory. You don’t even need to upload the actual plugin. That’s it! As long as you have APC installed on your server and have placed the file correctly, APC-powered Object Caching should now be enabled and you should begin seeing performance improvements. To confirm that it’s working, you can type this into your browser while logged in as an admin: http://www.yourdomain.com/wp-admin/plugins.php?plugin_status=dropins . It should show APC Object Cache as a drop-in. With W3 Total Cache, the most important setting is what I have written above in the “File caching” section. In W3TC, go to Performance > General Settings, and then navigate to “Object Cache”. Check the box to “Enable” the object cache. Under “Object Cache Method” it will probably only offer “Disk” as you are on shared hosting. Click “Save all settings” and you have now enabled Object Caching, with the cache being saved into files to your disk. The rest of W3TC can be mostly ignored or turned off. You don’t want any page caching with BuddyPress. You can sync assets to a CDN in W3TC settings if you want. but it actually slowed the site down. Seemed to caused a few second delay before page load. My host installed it. Here is the setup. Wonder if you see anything wrong with the settings? Maybe they don’t know how to properly tune for Buddypress. Are you running BuddyPress 2.0+ ? BP made significant improvements in how it handles object caching with 2.0. Also make sure you followed the step of adding the drop-in APC plugin in WordPress, otherwise the object cache is not even being used. It should speed up the site immediately. If not, I’m not sure off hand. I have the latest versions of everything and the drop in shows up fine. Maybe a plugin conflicting or something. I’ll have to do some further testing in my dev site. I pretty happy with the site speed without it so not a big deal. I have some question. 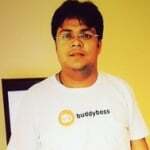 Did enable database cache with buddypress will be working good? Glad you like the article. Yes, it should work. Got this installed with no issues, good tip. Seems to have sped up some. Next to head to your list of improvements. https://www.buddyboss.com/buddypress-speed-and-performance/ I’m getting terrible pagespeed scores right now. That’s not too bad though… I need to find a solution to spam on the registrations. I’ll look through your site for something. Also, ask your host to enable GZIP if you haven’t already. Makes a noticeable difference. I’m running my own server, so I think I have to do this… In reading they are saying that Mod_Deflate is the new version and gzip is for older Apache? So did a lot of research. Just FYI for everyone, if you are using PHP 5.5 or later then APC has been replaced with a built in Zend OpCache which is fantastic. APC is no longer supported. Then download OpCache Dashboard plugin. Brandon, Thanks for posting this info. Our web hosts have installed OpCache on our VPS. Little confused as to whether installing the W3 Total Cache Plugin on top is necessary or would add any benefit? The OpCache Dashboard plugin appears populated with activity – so is that it for Caching, nothing more to do? Will, When you are going to install w3 total cache, you will not need any additional plugin. You will get all options inside it. I’ve heard that its not worth using fastcgi with APC, or it causes problems? Excuse my lack of knowledge on the subject. Do you recommending using CGI instead? Thank you! Hi i use opcode from php5.5 yes it works great, how about if i use elastic cache which is Memcache from Amazon since my site hosted on Amazon Cloud, and set W3 Total Cache settings on object caching to memcached will that work with the dynamic part of the site and other php functions will be compiled still by Zend OpCache ? The main guiding principle here is to make sure you are caching PHP but not HTML. As soon as you start caching HTML you lose the dynamic part of the site. As for your specific PHP caching solution, I’m not sure about that specific setup, I would suggest contacting your hosting provider. Hi michael I have a question for you, OK when using php 5.6 or php 7 that has opcache buitlt in as standard using w3 total cache doesnt detect opcache so even though i have a dedicated server that is now running php 7, all of the vps and dedicated settings are greyed out and only disk cache is available? when i was using php 5.3 apc was available and fully installed but support for it has gone from later versions, so how do we get total cache to use the inbuilt opcache that is bundled and turned on by default with php 5.5, 5.6 and 7? surely if we have opcache installed and working then clicking on disk enhanced etc will degrade performance not enhance it?